Welcome to the season premiere of Marketing Without the Marketing! 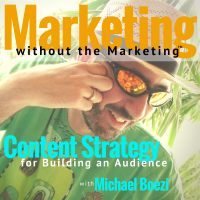 After a short break, I’m glad to be back at the mic talking about all things content strategy, as it applies to you and your small business or startup. I was going to take another week off, but there was some breaking news last week that I couldn’t ignore. Ev Williams, founder of Twitter and Medium, announced that they were changing direction with Medium. The immediate result of this is a layoff of 30% of their staff, with details of the new direction yet come. Like Twitter, Medium has not figured out how to make money – or at least how to make a sustainable revenue stream. At least not without sacrificing their principles (applause for that). But this has a direct impact on you if you are using (read: investing in) either of these platforms. But the bigger and more interesting issue is – can Ev Williams fix what he calls “the broken system that is ad-driven media on the Internet”? Wouldn’t we all like to see a World Wide Web that isn’t just a race to the bottom when it comes to producing content? Despite the layoffs, and the fact that there is little detail supplied about this new direction – this change in business model could be very interesting. So let’s examine the issues and potential – and more specifically, what it means for you and your own content strategy. And referenced another piece on the topic, called Long Medium by M.G. Siegler, an investor in Medium. Here’s a prior episode on using Medium as a part of your content strategy, Medium for Business: The Benefits of Social Blogging. 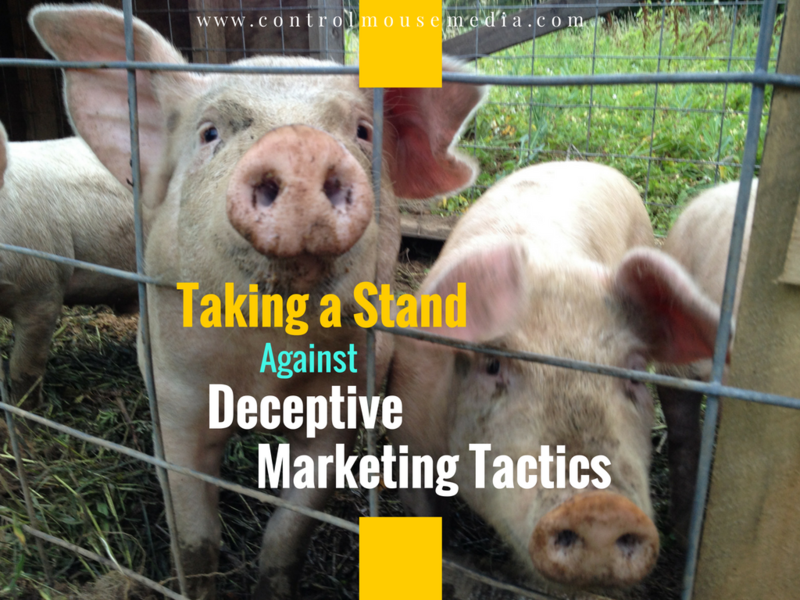 Lastly, I’m continuing this thread in a blog post, called Taking a Stand Against Deceptive Marketing Tactics. There was a good article on Business Insider (I believe) on whether venture capital killed Medium. Given a similar experience myself, a poignant read. Thanks Michael. Here’s the one, I think: Venture capital is going to murder Medium. I’m rooting for Ev and his crew. But if and when the time horizon is up, from a user perspective – I’d rather have it fail (Meerkat, Blab) than fade into irrelevance (Facebook). Either way, just the possibility of failure is yet another case against digital sharecropping. As if we needed more proof.